It felt like every turn led the Sunday training ride crew into a cold easterly headwind during our undulating route this weekend. 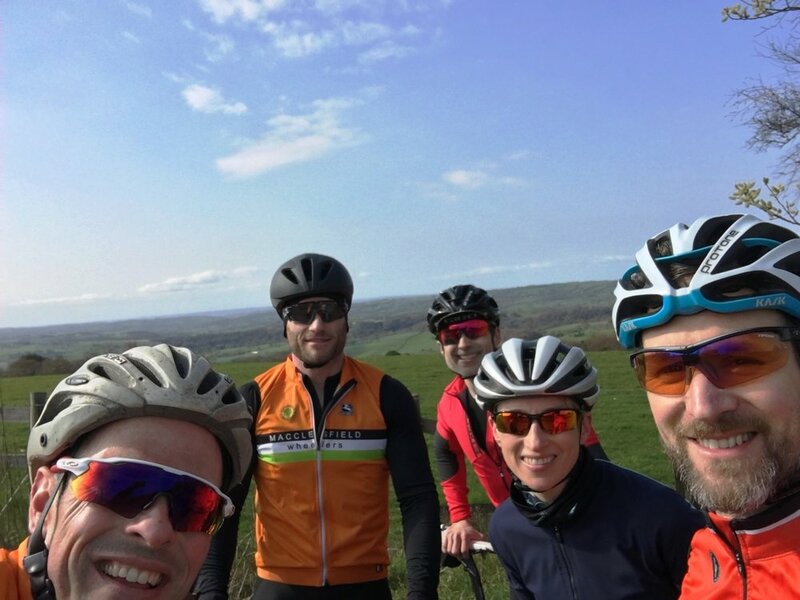 Jamie, Chris, Jo, Dom and I headed over the Brickworks, Long Hill and through the Goyt Valley before ascending again over Flash, Gun Hill and back through Wincle. Dom and Jamie were both in good form, making the latter climbs look easy. The sun eventually came out and we were back early enough for everyone to enjoy a great Mother’s Day. Another good morning on the bike.